Mr. Britt (DOB 01/14/91) was charged with the assault and sexual abuse of his former girlfriend. In the course of the assault, the defendant strangled his victim, stabbed her in the neck, and groped her breast. A jury trial began on August 6, 2018 and the jury convicted him of the above charges on August 10, 2018. The jury recommended a sentence of 9 years in prison. Final Sentencing is scheduled for October 5, 2018 at 9:30 a.m. in Division 6 of Jefferson Circuit Court. Sheri Wornall is the prosecutor. Mr. Hamilton (DOB 06/15/97) and Mr. Hutchings (DOB 05/21/97) are charged with shooting and killing Jermaine Simmons and Kamal Lawson on March 31, 2016. A jury trial was scheduled to begin on August 13, 2018 but the defendants entered a guilty plea just before the trial began. In exchange for their plea to the above counts, the defendants each were sentenced to 30 years in prison. Mark Baker and Joshua F. Waldrop are the prosecutors. 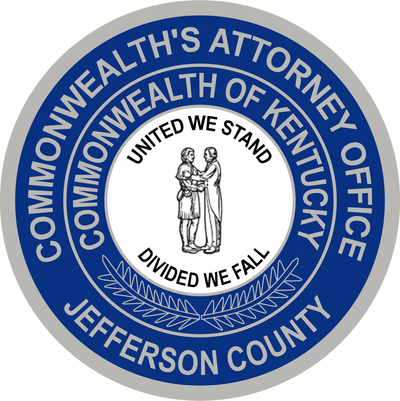 Mr. Carson (DOB 06/16/84) is charged in connection with the June 25, 2018, shooting of Ms. Klair Silver at 1820 Neville Drive in Shively, Kentucky. Mr. Carson is scheduled to be arraigned on Monday, August 20, 2018, at 11:30am in Division 7 of the Jefferson Circuit Court. Ryan Olberding is the prosecutor. Mr. Curry (DOB 1/25/88) is charged with the August 5, 2017 shooting of James Harris while Mr. Curry was out on bond on the Home Incarceration Program (HIP). Mr. Harris died as a result of his injuries. A Pretrial Conference is scheduled for August 24, 2018 at 9:00 a.m. in Division 3 of Jefferson Circuit Court. Emily Lantz is the prosecutor. Mr. Erdley (DOB 07/05/73) is charged in connection to a collision that occurred on January 29, 2017, resulting in fatal injuries to two pedestrians. A pretrial conference is scheduled for August 24, 2018 at 8:30 a.m. in Division 8 of Jefferson Circuit Court. Milja Zgonjanin is the prosecutor. On July 22, 2015, Ms. Wade (DOB 01/04/00) gave a live birth to a baby girl. The Defendant smothered the victim shortly after her birth causing her death. The Defendant removed the corpse from the crime scene and hid the corpse in her purse. A pre-trial conference is scheduled to be held on Monday, August 20, 2018 at 10:00 a.m. in Division 11 of Jefferson Circuit Court. Madison Shoffner is the prosecutor. Mr. Bell (DOB 06/20/95) and Mr. Burns (DOB 04/16/92) are charged with the shooting in the 600 block of S. 39th Street on April 26, 2018 that resulted in the death of Glenn Browning and the serious physical injury of a second victim. Just prior to the shooting, Mr. Burns willingly and knowingly provided the murder weapon to Mr. Bell for the purpose of shooting Mr. Browning. This handgun was recovered and found to be stolen from Elizabethtown. A first Pretrial Conference is scheduled for August 21, 2018 at 9:00 a.m. in Division 10 of Jefferson Circuit Court. Emily Lantz is the prosecutor. Mr. Bell (DOB 06/20/95) and Mr. Watts (DOB 01/16/92) are charged with a shooting that occurred on May 29, 2018 in the 2600 block of Greenwood Avenue. Mr. Watts drove Mr. Bell to the location for the purpose of committing the shooting. Once there, Mr. Watts stopped his vehicle next to the victim. Mr. Bell, who was sitting in the passenger’s seat, shot at the victim multiple times, resulting in serious physical injury. Mr. Bell also shot into an occupied house, showing an extreme indifference to human life. Mr. Watts drove away immediately after the shooting and, when police went to stop the vehicle, Mr. Bell fled with the handgun used during the shooting. Both defendants are convicted felons. A first Pretrial Conference is scheduled for August 23, 2018 at 10:30 a.m. in Division 4 of Jefferson Circuit Court. Emily Lantz is the prosecutor. Mr. Mallory (DOB 09/05/82), Mr. Hogan, (DOB 06/16/93), and Mr. Pendegrass (DOB 12/14/89) are charged with the April 11, 2012 Murder of 15 year old Gregory Holt Jr. inside his home. Mr. Mallory’s case has been severed from his two co-defendants and will be tried individually. A hearing for pretrial motions in Mr. Mallory’s case is scheduled for August 20, 2018 at 10:30 a.m. in Division 12 of Jefferson Circuit Court. Dorislee Gilbert and Madison Shoffner are the prosecutors. Mr. Allen (DOB 09/13/77) and Mr. Mitchell (DOB 12/17/57) are charged with the sexual assault and murder of Sheila Devine that occurred on November 12, 2013. Jury selection is ongoing in advance of proof beginning in Division 2 of Jefferson Circuit Court. Kristi Gray and Critt Cunningham are the prosecutors. Mr. Toney (DOB 01/21/77) is charged with trafficking in marijuana, cocaine, and heroine as well as illegally possessing drug paraphernalia. On October 3, 2016, detectives executed a search warrant on unit 213 at Public Storage and seized a large amount of Heroin, Cocaine, Marijuana, US Currency, assorted paraphernalia, and a loaded handgun. A Jury Trial is scheduled to begin on August 21, 2018 at 10:00 a.m. in Division 13 of Jefferson Circuit Court. Josh Porter and Elizabeth Jessee are the prosecutors. Mr. Curry (DOB 12/03/01) and Mr. Thomas (DOB 11/17/01) are charged with robbing and killing Jason Spencer on November 5, 2017 in the 1200 block of Everett Avenue. Both defendants were 15 years old at the time of the incident. A third co-defendant, who was also 15 years old, is pending presentment to the Grand Jury. A fourth co-defendant, who was 13 years old and the getaway driver of the stolen vehicle, cannot be tried as an adult and has resolved in Juvenile Court. A pretrial conference is scheduled for August 13, 2018 at 9:15 a.m. in Division 6 of Jefferson Circuit Court. Emily Lantz is the prosecutor. Mr. Mallory (DOB 09/05/82), Mr. Hogan, (DOB 06/16/93), and Mr. Pendegrass (DOB 12/14/89) are charged with the April 11, 2012 Murder of 15 year old Gregory Holt Jr. inside his home. Mr. Mallory’s case has been severed from his two co-defendants and will be tried individually. A hearing for pretrial motions in Mr. Mallory’s case is scheduled for August 17, 2018 at 10:15 a.m. in Division 12 of Jefferson Circuit Court. Dorislee Gilbert and Madison Shoffner are the prosecutors. Mr. Hamilton (DOB 06/15/97) and Mr. Hutchings (DOB 05/21/97) are charged with shooting and killing Jermaine Simmons and Kamal Lawson on March 31, 2016. A jury trial is scheduled to begin on August 13, 2018 at 11:00 a.m. in Division 3 of Jefferson Circuit Court. Mark Baker and Joshua F. Waldrop are the prosecutors. Mr. Britt (DOB 01/14/91) is charged with the assault and sexual abuse of his former girlfriend. In the course of the assault, the defendant strangled his victim, stabbed her in the neck, and groped her breast. A jury trial began on August 6, 2018 and the jury convicted him of the above charges on August 10, 2018. The jury will hear proof and recommend a penalty beginning August 13, 2018 at 1:00 p.m. in Division 6 of Jefferson Circuit Court. Sheri Wornall is the prosecutor.